La Paz Regional Hospital has a history of triumph. Even the building of the original hospital was fraught with divergent opinions about the location and style. Dr. and Mrs. Sherman Meyer moved to Parker in 1966 at the invitation of Bud and Lucille Graham, who offered 40 acres of land located eight miles upriver for the construction of the hospital. At that time, Yuma County stretched to meet Mohave County. There was no La Paz County. In 1972 voters of Yuma County passed a $1.5 million bond to build the hospital, after a compromise was reached over the location. Some objected to the hospital being so far north.The land proposed by the Graham's would have put the new facility closer to Lake Havasu. A more central location was needed between the hospital in Yuma and the one in Lake Havasu City. The Colorado River Indian Tribes settled the debate by offering to lease 30 acres of land at the present site. Parker Community Hospital opened in 1973. Dr. Meyer and Dr. Anthony Marchese were the first physicians at the new hospital. A second bond issue was passed in 1973 to finish the building and purchase equipment. In 1983 Northern Yuma County became La Paz County. In the 90's, the hospital changed its name to La Paz Regional Hospital, in recognition of its mission to serve the entire county. The ICU was built in 1994. After several years of declining revenues, the hospital began an aggressive expansion and improvement project that brought us into the 21st Century in terms of services and technology. In the last ten years, the hospital has added new buildings for the Emergency Department, Surgery, Cardiac Cath Lab, Physical Therapy and Rehabilitation; a new building for the La Paz Medical Services in Quartzsite and the first imaging center in that city. Numerous smaller projects have allowed the hospital to keep pace with its growing repertoire of services. We were nationally recognized for these projects, and our supportive cost structure and services, when we were named to the Thomson's Top 100 Hospitals list in 2007. Over $5 million dollars of imaging equipment was purchased, making us the first hospital along the river with digital mammography and the newest CAT scan technology. 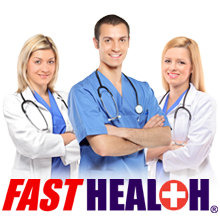 We have continued with nuclear medicine, echosonography, MRI and PACS. Since 2008, our quest to have fully electronic medical records is becoming a reality, as we install the last piece in 2012. La Paz Regional Hospital was awarded Centers for Medicare and Medicaid (CMS) classification giving our hospital the Critical Access Hospital (CAH) designation. This status, available to small rural hospitals, allows us to access a payment methodology established for hospitals with 25 beds or less. In achieving this designation, we were able to add skilled nursing services at our hospital. This will be the first skilled nursing beds in our County. In addition, we are exploring the conversion of our clinics in Salome and Quartzsite to Community Health Centers. This federal designation will allow us to offer additional services, including dental, behavioral health and/or transportation services. We continue to seek out opportunities for expansion to meet the needs of our residents and visitors. The economy has delayed plans for a new medical surgical unit and a new clinic building in Salome. These remain priorities in our strategic planning process. 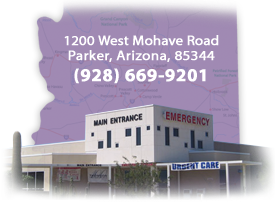 Our motto "Where Community and Compassion Come Together" is indicative of our proud heritage of service to La Paz County and the excellence of our professional and dedicated staff in meeting the medical technology, customer service, and quality goals. The future is not written. Ours will be written in thanks to these individuals who make this hospital great.